There’s no way around it, parenting is expensive! But Luvs is offering a great money-saving opportunity for parents with little ones. 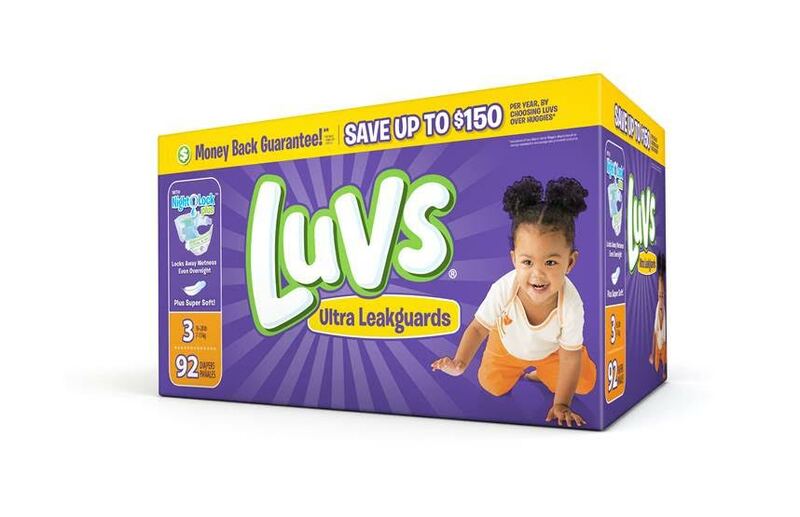  Visit http://bit.ly/1SwtFsL to access a Luvs coupon of $2 off any one diaper pack.  Print the coupon at home and use it at any mass, discount or grocery stores where Luvs Diapers are sold.  All Luvs Diapers are included in this particular offer, except trial/travel sized diaper packs.  Print-at- home coupons expire 30 days from the date the coupon is printed by the consumer. Featuring Super Absorbent Leakguards and NightLock Plus™, its largest absorbency area ever, Luvs Diapers lock away wetness and absorb even more than regular Luvs. knowing that she’s giving baby a secure, snug fit again and again.  Luvs knows that between laundry, play dates, snack time, and nap time, you don't have time for leaks. Luvs makes life easier for busy Moms by helping to keep leaks in the diaper where they belong, so baby stays dry and comfortable, even overnight.  A contoured shape hugs baby for a great fit and a super soft cottony material – softer than ever before – feels gentle on baby’s skin. Snug & Dry, they get outstanding leakage protection that locks away wetness better*, and they turn diapers into dollars by saving up to $150 per year** – giving babies the protection they need at the low price parents are looking for.  The Luvs Money Back Guarantee: We feel so strongly about our diapers that we’ve guaranteed them! If you aren’t satisfied with the leakage protection of Luvs, they'll refund your money.  Luvs diapers are available in sizes newborn through 6, feature fun designs in every pack, and can be found at mass, discount and grocery stores where baby care products are sold. Facebook (https://www.facebook.com/luvsdiapers), Twitter (https://www.twitter.com/luvs) and YouTube (https://www.youtube.com/luvsdiapers). IN BRIEF: Softer and more absorbent than ever before, with large stretch tabs for easy fastening, ultra-leakage protection and a money-back guarantee, Luvs Ultra Leakguards with NightLock Plus™ provide the high-quality features babies and parents need for less cost than the premium brands.